Will Scientists Ever Be Able To Bring A Rock To Life? A question I received: What is “desire”? My Answer: Desire is the entire matter of creation, everything except the Light. Desire is “something created out of nothing,” and all the different derivatives of desire are created under the influence of the Light. You might ask, “So is a pen also a desire?” No, it is already a form clothed into a desire. And the plastic from which the pen is made is not a desire either; it also has a form instilled in it – namely, it consists of molecules and atoms which have taken that form under the influence of the Light. This is no longer matter in a pure form; it is not just a pure desire. This is precisely the basis of creation that quantum physicists are trying to find through experiments with the Large Hadron Collider and other research. They want to find that “stem cell” which constitutes everything. Yet, the more they strive toward this, the more additional, secondary particles they reveal. However, they will never reveal this fundamental “particle” since it is not matter. Eventually they will discover that it is not matter; it is desire. However, they will not be able to reveal what desire actually is because to make this discovery, one has to enter the spiritual world. Human beings try to find precisely this basis of creation through all their investigations of nature, but the basis is desire. Yet, at the same time, they will be able to discover why we feel the desire in a specific manner and why it is revealed to us in the form of particles. However, at the end of the day, what are these particles? They are us, our qualities. This is why we reveal the desire in all these various forms. When these desires collect together, they form unions which possess additional qualities that we artificially subdivide into physical, chemical, biological, and others. In essence, however, all of this is desire in its pure form, which takes on various additional forms and qualities under the influence of the Light. The problem that science cannot solve arises on the border between desires. There are levels of desire called inanimate, vegetative, animate, and human, and we are unable to turn one into another; for example, we cannot turn an inanimate object into a living thing. What’s the difference between an inanimate object and a plant? The difference is that a living thing is influenced by additional, life-giving Light, and that is something we can never add to inanimate matter. This is why science is reaching its end. It is necessary to understand that the only thing that exists is the desire. Everything else is merely conceptions of this desire. “Night” is the inability to bestow. It is an overabundance of the Light of Hochma that is not clothed in the Light of Hassadim. On any given spiritual degree I’m not working with my own desire, but with the desire of the lower one, which I have to elevate. My perception is formed out of desires, which I identify and give various names to. A question I received: Does The Book of Zohar reveal the realm of desire to us? Can we reveal this through this book? My Answer: The Light that shines upon us reveals various forms of desire within us. These forms are already inside us, but they are concealed. It seems to me that I grow, turning from a child into an adult and putting on weight and height. But this is not so. In reality the Light influences me and I reveal a greater desire within me, along with its various new forms. All of these forms are my own and they have always been inside me. It’s impossible for anything new to be revealed; things only seem new to me. I am enormous and infinite, but I perceive myself as being small. I have to evoke Light upon myself in order for it to reveal more and more of my forms to me, until I return to infinity with all my different qualities and desires. This will mean that I am growing, that is, ascending up the steps of the ladder. It turns out that all I have to do in this entire process is desire for the revelation to happen to me, to reveal my inner qualities and forms that are more developed and closer to the Creator. I want to open myself up so the Light will come and open me up even more. I don’t reveal the Light, but attract it so it will open me up and show me the real me – the me that is greater and closer to infinity. When I can become more and more revealed to my own self, this means that I ascend up the spiritual ladder. A question I received: Why do we simply read The Zohar – why don’t we go over the meaning of every word? My Answer: If I explain the meaning of every word, such as “mountains, night, darkness, and day,” then you will think that you have found out their meaning and will relax. You will think that you have read and learned an excerpt and now you can go home happy. However, this is not how you should feel when leaving the lesson. You have to leave The Zohar lesson feeling as though you did not understand anything at all – not one word. Everything is locked and closed; the book talks about a world that you don’t feel and don’t belong to. You tried to feel it, but didn’t succeed, and you still don’t know how to do this. Until a person enters the spiritual world, he is unable to understand that the only thing that’s important is his desire. As for knowledge, the game of playing around with words, and memorizing the theory, all of this merely constructs an artificial system inside of you which calms you down and leads you away from the goal. My great teacher Rabash had the ability to make a person leave the lesson feeling even emptier than when he came to the lesson. Our task is to awaken such a desire inside us that even our numbest places within will sense that the problem lies in our soul, which does not feel its state. Our soul feels that it is in the dark because it is receiving the illumination from the following state, and it does not match that state. When I feel that I am unable to feel, it means that I have reached the realization of being opposite to the Upper Level. It’s as though I am standing opposite a person that I completely depend upon, but he ignores me like a wall. I can stand on my head for him and cry, but he remains impenetrable and does not react to any of my pleas. What Is Revealed In The Book Of Zohar? 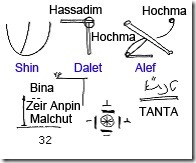 A question I received: What is revealed to me when I am reading The Zohar? My Answer: You reveal what is happening on the Upper Degree. It is like a little child growing up – he sees, understands, and feels the world. By observing his behavior and reactions, you can see that every day he understands life a little bit more, gains a greater understanding of what is happening and reacts to things more consciously. In spiritual attainment, we suddenly reveal images inside ourselves on a sensory level as a result of projecting the narration of The Zohar inside us. The narration “lands” on our desire and is imprinted in it, and we therefore begin to feel and then understand what is being said, similar to how we revealed this world when we were growing up. Spiritual revelation is not rational but sensory; it happens in new senses. It is brought about by the Light that Reforms, which simply makes us able to understand the Creator and to become like Him. This may not sound serious and one may wonder, “How is this a science? Where is the mind? Where is the person?” After all, we are just reading a book, and we desire very much to be in that picture, in that reality about which it is telling us. It appears similar to how a baby acts, “I want and that’s it!” But nothing else is required of us except this desire. Baal HaSulam writes in Item 155 of the “Introduction to Talmud Eser Sefirot,” “Although they do not understand what they are learning, through the yearning and the great desire to understand what they are learning, they awaken upon themselves the Lights that surround their souls.” It works the same way as how a baby wants to know the world he is in. When we desire to reveal the spiritual world in the same way, it suddenly becomes revealed to us. When we read The Zohar we encounter many notions that we do not understand. With time, we will begin to recognize what they are, but actually this is not very important. The process of studying The Zohar is similar to how a baby always sees a lot of new, unknown things around him. He does not know what they are intended for, yet he becomes acquainted with the world even without knowing how he does this, instinctively and simply. In the same manner we shouldn’t be afraid of not understanding something that we read and not knowing how one thing relates to another. We just have to listen and “touch” everything, and have a burning desire to understand. This is the only way to get to know anything in our world as well as the spiritual world. 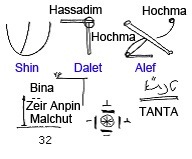 Later on when we read the Torah, we will see where all these images came from, why one name is mentioned first and then another, or why different quotations are used. We will understand what spiritual actions and qualities are being described and what force operates at each degree (such as Josef, Jacob, Abraham, Moses, and so on). The Zohar in particular and the science of Kabbalah in general appeal to these internal forces we have inside us. Thus, little by little we begin familiarizing ourselves with our qualities. As these qualities develop, it becomes possible for us to work with them, to organize them and use them properly. One’s degree of vitality in the spiritual world is measured by how familiar that world is to him and by the level of one’s acquaintance with it. Therefore, the more we will know and feel, the more significant our spiritual life will be, and the greater the degree of our spiritual awareness and existence. That is how we will advance. If I decide to attain bestowal, I have to begin studying and using all the resources at my disposal to attain this quality. But all of this is necessary only to help me arrive at the conclusion that I don’t want to bestow. I don’t want for the mere sake of bestowal; I can agree to study only on one condition – that I will receive something in exchange. To study only in order to bestow onto others and to connect their desires to me is not something I’m capable of. And yet I continue to study thinking that maybe something else will come of it. Meanwhile, the Surrounding Light influences me and others around me, persuading me that bestowal and spirituality are, in fact, wonderful. I discover that spirituality is bestowal, but I still don’t want that kind of spirituality. This realization is great because it means that I have already achieved the “state of concealment” (either single or double). Thus, I am already on the path of spiritual advancement. The first thing I need is the feeling that I don’t want to bestow and love, and that I reject spirituality. At that point two people exist within me. One says: “You must move towards the Creator, otherwise what will happen to you?” And the other one says: “Why do you need all of this? What will you get out of it?” An inner struggle ensues and I begin to sense darkness. The whole world changes depending on whether I think one way or the other, since the whole world is inside me. The state of concealment begins when the property of bestowal is hidden from me. I am the one who desires to conceal it; I am the one who doesn’t want it. Yet, at the same time I do want it, despite the fact that it is concealed from me. In other words, I am already split in two: I strive towards bestowal and at the same time, I don’t want it. This condition is revealed to me as darkness relative to the Light, and one cannot exist without the other. So, do I want to bestow or not? Well, I wouldn’t mind to bestow, but I don’t really have a desire for this. What can I do if this is the way I was created? This is what we call “concealment,” “imperfect work,” or the state of Lo Lishma. It is when I am ready to give something, some small part of me to the Creator or to others, but I must get something in return. Otherwise, I cannot do anything. Concealment cannot exist without revelation, and it is a special state of being. Kabbalists write that if we only knew the value of concealment, we would appreciate this state called Lo Lishma. We think that “Lishma” is a very high state, whereas “Lo Lishma” is insignificant. But that’s not true, because Lo Lishma is also a very big and important state of being, and let us hope that all of us will reach it. A question I received: In my daily life I try to imagine that everything I come across is a part of my desire. Is this outlook correct, or will it just confuse me? My Answer: Everything depends on the results of this outlook. The world behaves according to invariable laws. Until you come out of this world into the spiritual world and begin to feel it in a clear and sensory manner, it is forbidden for you to comprehend the spiritual world as though it already exists in a ready-made form for you. I can only exist in the spiritual world if I am on a spiritual degree, whereas in this world I always exist on the corporeal level. Both of these levels exist until I reach the end of correction, at which point this world will vanish from my imagination. However, until this state of my complete correction, I will always live and exist in this world according to its laws, without fantasizing that I supposedly need to follow the laws of the spiritual nature in this world. Meanwhile, the rule, “There is none else besides Him” pertains to the spiritual world. And there is no connection between the laws of this world and the laws of the spiritual world. This connection is hidden from us and hence “it doesn’t exist.” We have to live in a realistic manner, only within the boundaries of what we really perceive.